In the current economic times, currencies are crashing and rising faster than most people ever imagined possible. They are becoming a very important factor in determining the state of a nation’s economic health even though they can’t be used comprehensively since there are a number of other factors that come into play. Regardless, the rate at which a country’s currency is able to change versus the American dollar which is the universal currency portrays a lot about a country. With that said, which are the most valuable currencies in the world right now? Some, you may have expected but some others will come as a complete shocker! Despite its high demand all over the world, the U.S Dollar is the tenth most valuable currency in the world and the most traded currency in the trade market. The currency has been in use officially by the Americans since 1785 and while about 11 countries use it officially, 43 other countries use the currency unofficially. This little country that has been able to enjoy peace and tranquillity that has bolstered success comes in as the ninth most expensive and valuable currency with 1CHF equaling $1.08. While the country may be small, one cannot say the same for the currency of the country. Just as the name insinuates, this is the legal currency for the Cayman Islands a country that has been notoriously known as a layer for money launderers because of its liberal banking system. The currency code for this country is KYD and the currency sign for the same is denoted as $ or CI$. It is valued at 1KYD for $1.19 and it is subdivided into 100 cents. In 1972, the country’s currency got a boost when in the Jamaican dollar was added in an effort to replace it but this did not happen and the two now co-exist in the same market, the KYD is the eighth most valuable currency in the world currently. Now, this is one currency that most people would not have expected to perform so dismally given the economic status of the countries it represents and their respect that runs right across the world. However, that aside, the Euro is the currency for the 25 member states of the Eurozone all located in Europe. The Euro was officially introduced as the main currency in the region in the year 1999 and is marked by the symbol €. 1 Euro is equal to $1.24 and it is further divided into 100 cents making it the seventh most valuable currency in the world. Aside from that, the Euro holds the second place as an international standard or trading after the USD and is also occasionally used in the foreign exchange market. This is another expensive currency that most people would expect to be higher up the ladder. The pound is the official currency of the United Kingdom, Jersey, Guernsey, the Isle of Man, South Georgia and the South Sandwich Islands, the British Antarctic Territory, and Tristan da Cunha. The pound is subdivided into 100 pence and the currency code is £. 1 pound is equivalent to $1.40. The currency of Gibraltar is another famous currency in the world. Known as the Gib or the Rock, Gibraltar is a British overseas territory located at the southern end of the Iberian Peninsula, at the strategic entrance to the Mediterranean Sea from the Atlantic Ocean. The currency code for the Gibraltar Pounds is GIP, and the currency symbol is £. The most popular Gibraltar Pound exchange rate is the GIP to EUR rate. However, £1 is equivalent to $1.41. This is among the little-known countries but its mammoth economy and growth have earned it a worldwide respect and this is evidenced by the strength of their currency. The Dinar is the official currency of the Hashemite Kingdom of Jordan which is located on the Asian continent. 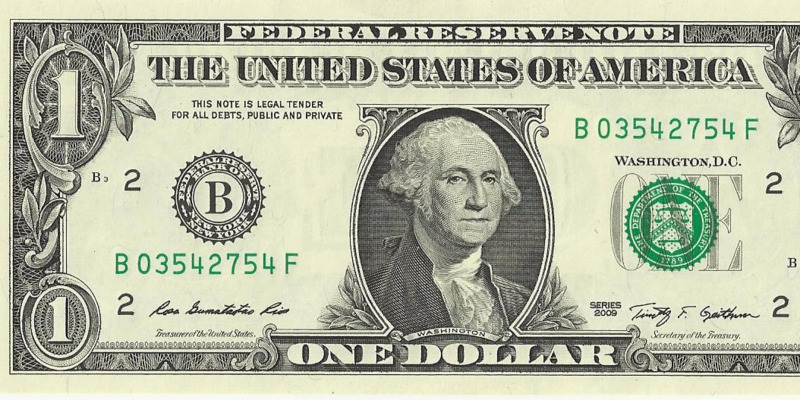 Its capital is Amman and its currency code is JOD with the value of 1 JOD being equivalent to $1.41. The official currency was introduced by King Jordan himself in 1940 and has not changed since then steadily strengthening to become the 4th most valuable currency in the world. Officially known as the Sultanate of Oman which is an Arab State in the Southwest of Asia, its capital city is known as Muscat and even though it is fairly known, not many would expect it to be doing this well. The OMR which is the official currency code has been bolstered by the exportation of crude oil with 1 OMR being equivalent to $2.60. Located in the middle east with Manama as its capital city, Bahrain and its currency whose code is BHD come in as the second most expensive currency in the world currently with 1 BHD = $2.65. The first and currently the most expensive currency in the world is the Kuwaiti Dinar whose currency code is denoted as KWD. 1 KWD is equivalent to $3.34 and is subdivided into 1000 fils. Its parent country is none other than Kuwait which is located in Western Asia and Kuwait City is its capital city. The country has remained one of the world’s biggest suppliers of oil.